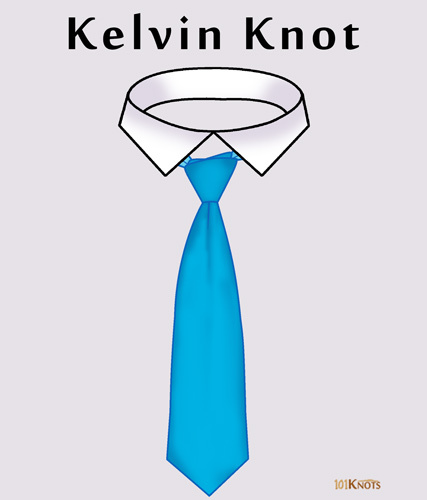 The Kelvin knot is named after the celebrated mathematical physicist Lord Kelvin (1824-1907). He made significant contributions to the knot theory related to the atomic structure. 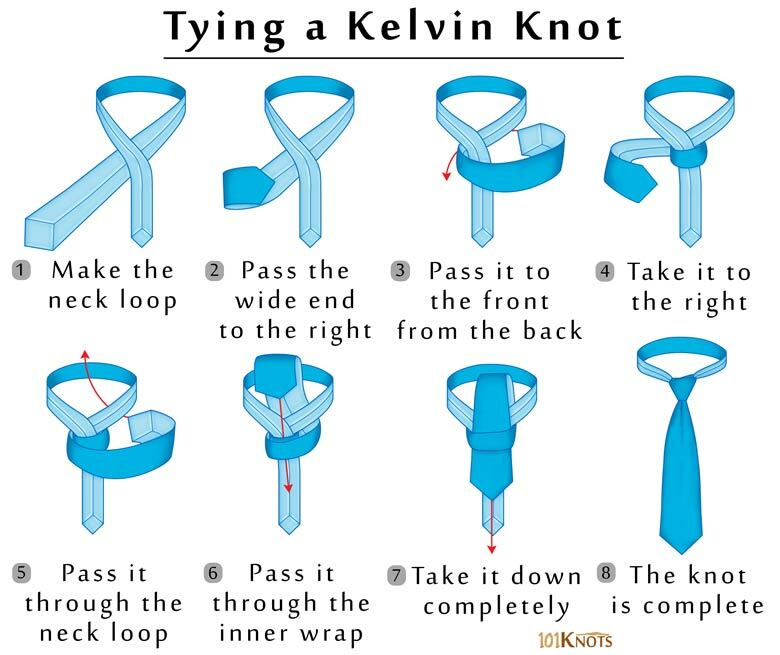 It is based on the simple tie knot. It produces a tidy and agile knot that is of the same size as the four-in-hand knot but is more angular and fuller. It starts with the reverse of the necktie. Cross Kelvin knot – Has 3 wraps at the center instead of 2 as indicated in the above diagram. More aesthetically pleasing.